Game show fans are in for some good news. Recently, Disney/ABC announced they’ve renewed the syndicated TV show RightThisMinute and Who Wants to be a Millionaire for the 2018-2019 season. The iconic game show “Who Wants To Be A Millionaire” and viral videos show “RightThisMinute” have been renewed for 2018-19 on the ABC Owned Television Stations, it was announced today by Disney|ABC Home Entertainment and Television Distribution. 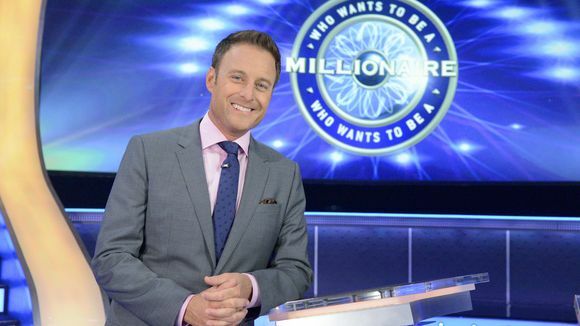 Hosted by Chris Harrison and currently in its 16th season in national syndication, “Millionaire” continues to be the only game show that offers a $1 million prize to each and every contestant. In the show’s classic ladder format, contestants must answer 14 trivia questions correctly with the aid of three lifelines to win $1 million. Since the show debuted in syndication in 2002, contestants have won more than $95 million. “RightThisMinute” showcases viral videos and the stories behind today’s hottest clips being shared around the world. Every day, the show’s team of e-journalists scours the internet to curate videos everyone will be talking about, bringing the best digital content to broadcast TV. The 2018-19 season will mark its eighth year on the air and sixth in national syndication. What do you think? Do you watch Who Wants to be a Millionaire and/or RightThisMinute? Are you glad they’ve been renewed? More about: RightThisMinute, RightThisMinute: canceled or renewed?, Syndicated TV shows: canceled or renewed?, Who Wants to Be a Millionaire, Who Wants to Be a Millionaire: canceled or renewed?